Transport cases are used to deliver loan kits and surgical instruments from manufacturers to hospitals via couriers, with particular emphasis on the safe design for handling of equipment through to the end-user in the hospital. 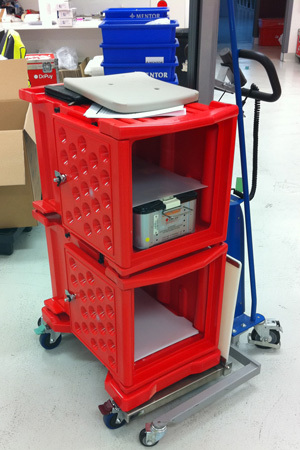 Medical Road Cases are designed to reduce manual handling when transporting medical equipment and medical supplies. Designed with feet that fit into the top of the bottom case, they have the stretch straps for securing the top case to the bottom. 3 Slip Sheets supplied with each case, a slip sheet is a divider between trays that facilitates easy removal/insertion of contents.